According to Epic Games, there has been some miscommunication on social media when it comes to the 14 Days of Fortnite. According to the development team, the wrong end date was shared online, which led to some fans missing out on the last reward. A Reddit post originally said that the 14 Days of Fortnite challenge would remain available to complete until January 3 or January 4. However, this isn’t the case, and this appears to have led some Fortnite players missing out on the Equaliser Glider. This was the last reward of the 14 Days of challenges and was one of the best. “Epic seemed to have a poor handle on the holiday events in general. I saw that comment, too, and was excited because I knew I was gone over this whole weekend (from Friday through yesterday) and wasn’t going to be able to do those challenges until today,” One fan writes. “Why not extend it a couple of days, so people have a reasonable amount of time to do it over a period where lots of people have family obligations and vacations? The good news is that Epic Games has heard this kind of feedback and have decided to change how the DJ Glider is being deployed. 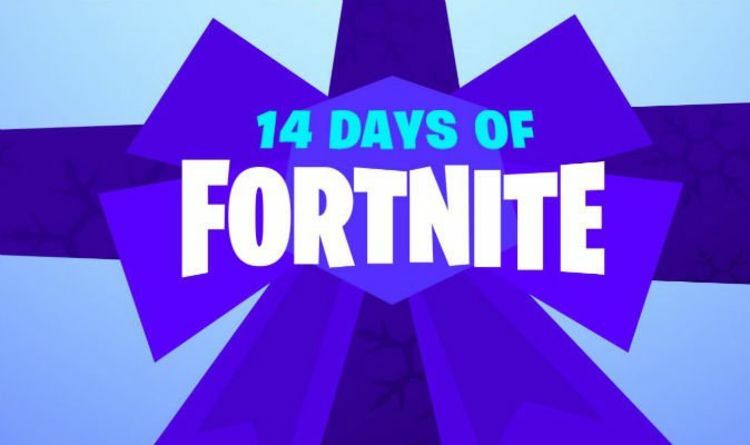 Because of this miscommunication, Epic Games will be giving everyone who completed one 14 Days Challenge the glider. This should happen in January and will mean many who were affected by this problem should see themselves rewarded eventually. “We apologise for communicating the wrong end date for 14 Days of Fortnite on social channels,” a message from Epic Games reads. And Fortnite fans can look forward to the launch of the Week 5 Fortnite challenges going live tomorrow, January 2.